Great little piece of Cincinnati memorabilia, as Procter & Gamble’s headquarters is located here. 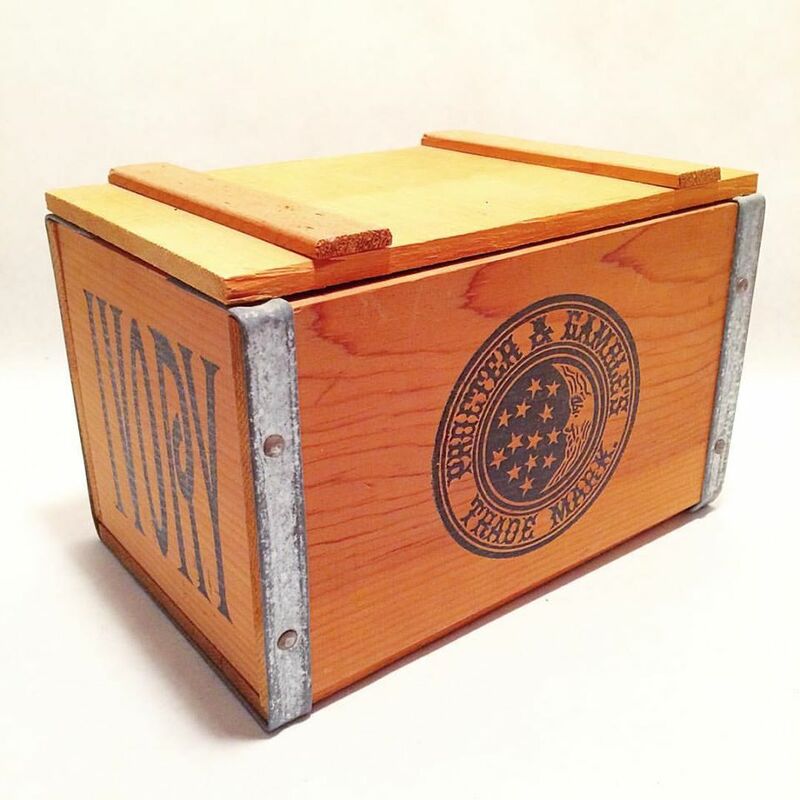 The crate is printed in black ink with the word Ivory on two sides (as in Ivory brand soap), and the Procter & Gamble moon & stars trademark logo on the front. The lid of this wood crate is hinged, and the corners all reinforced with metal strips; the crate measures 8.75″L, 6″W, 6″H, and is in excellent condition.